Photos of the American Southwest - Bryce Canyon, Grand Canyon, Zion Canyon, Arches National Park, Zebra Slot and more. 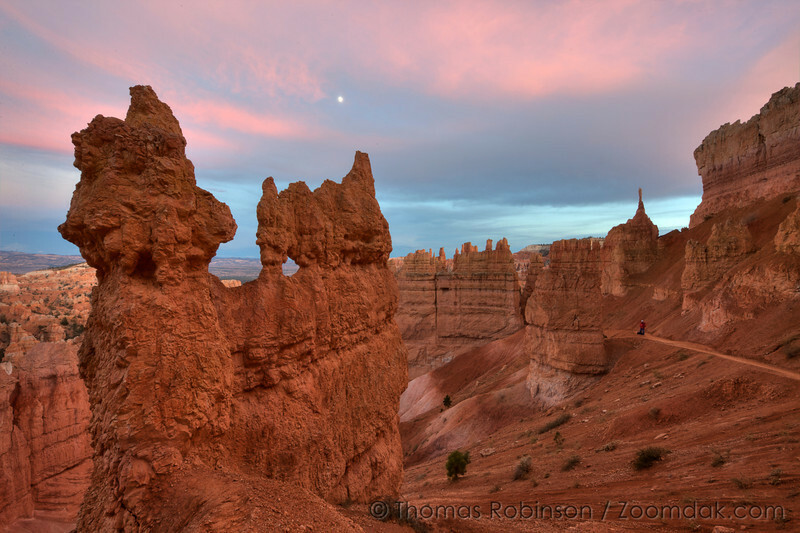 The moon shines above a hoodoo during sunset in Bryce Canyon National Park. The Sentinel is visible above a hiker on the Navajo Loop trail.